This watch arrived in time for a Christmas gift for my wife, she loves it. The box and the correct documents were as they should be and included the warranty information. Great value. Showcase your glamorous style with this pre-owned rolex. 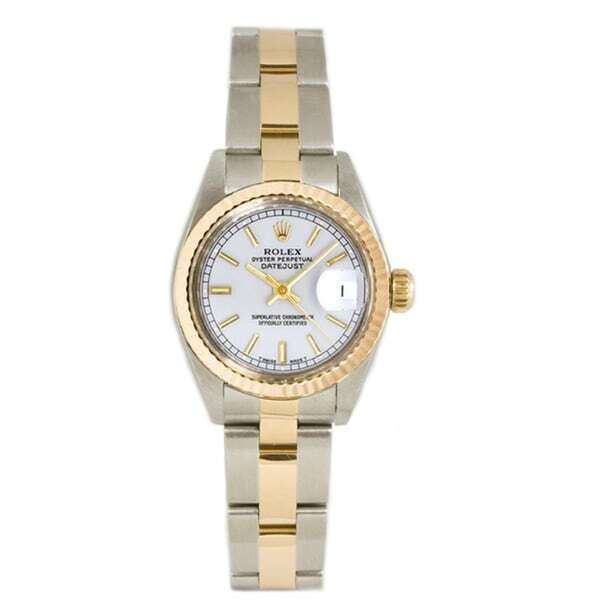 The stainless steel and 18k yellow gold combine for a beautiful addition to any outfit, exuding the sophistication of a new Rolex for a discounted price. purchased with bitcoin. it came with a beautiful box and letter of authenticity. fantastic watch, no scratches, looks brand new! "What is the serial number? When was it serviced? When was it polished? Box and papers?"